Cliffs near Halona bHalona Blowhole is a rock formation and a blowhole on the island of Oahu, Hawaii off of Hanauma Bay overlooking the Pacific Ocean. On windy days when the tide is high, the ocean breeze sends the waves rolling on to the shore where the rock formation then shoots sea spray high into the air through the cave acting like a geyser. It is not always at its best every day though. The blowhole is most active when the tide is high and the winds are strong. This is a big tourist spot in Hawaii. 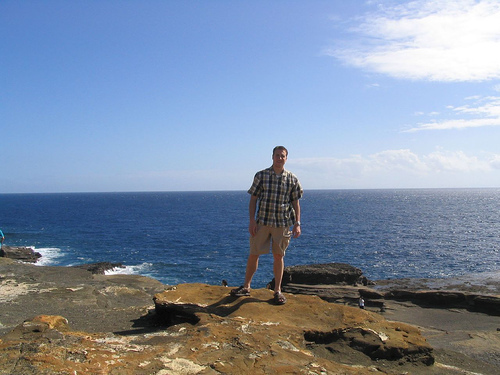 People come from all over to enjoy the beautiful scenery, the beach at the cove, and in the winter it is the spot to go to see the humpback whale as they take their journey leaving the North Pacific or the Honu (The Hawaiian Green Sea Turtles) swimming about. Diving is possible along the coast when there are light northerly winds blowing and no surf. It is recommended diving elsewhere when waves are breaking. The erratic tidal changes that take place offshore make the waters experience a strong current called Moloka’i Express that can drag divers out to sea. A large wedged shape area right off the coast next to the cove is a reef coated with Sinularia Leather Coral, which is a coral that does not need much light to live, in which you can find many different species like echinoderms, slugs, corals, and eels. The shoreline cliff beyond the cove, ending at a point, should be the limit of any shore diving here due to the strong current and distance. There is also a narrow rift along the base of the cliff which was formed by a large section of rock that broke away from the land can be seen very well on a clear day. He would stand on the top till they collected enough money. 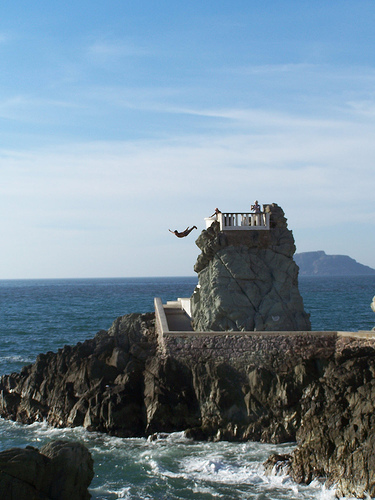 Then dive from the cliffs…scary! 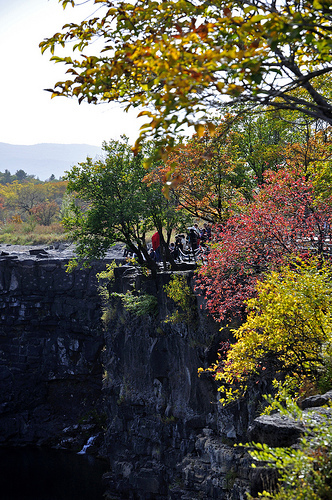 Due to dry season and closure of upstream dam at (MuDanJiang river), the fall disappears, leaving bear rocks. However, an entertaining cliff diving remains. Reportedly, the diver, Mr Di HuanRan, has been diving here for more than 25 years. Recently, he regularly dives at 10am and 2pm whenever possible.